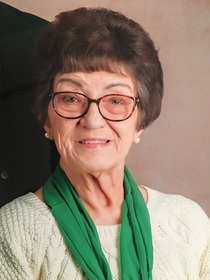 Obituary for Raelene Louise Reinard | Crandall Funeral Home Inc.
Our dear wife, mother, sister, friend, teacher, grandmother and great grandmother left this life peaceably on Tuesday, April 2nd after years of poor health and struggle and following a brief illness. Raelene Louise Cheney Pratt Reinard was born July 27, 1942 in Mt. Pleasant, Utah to Ray Linden Cheney and Lorene Susan Quinn. She spent her first years in Salt Lake City and later childhood in Cedar City, Utah. Among her favorite memories were the summers spent with her grandparents and aunts and uncles in rural Idaho and Fairview, Utah. Raelene graduated from Cedar City High School and attended Southern Utah University. While in college she was part of Lambda Delta Sigma (LDS Church Sorority) and Delta Kappa Gamma (Women Educators Sorority). She finished with a BS degree in Elementary Education which led to a long and successful career in teaching and she was listed among the Who’s Who of American Teachers. She taught first in Granite School District in Utah and finished with retirement 25 years later in the Lyman School District. She loved teaching and especially found joy in helping those students who were a little more challenging to reach. She was respected among her colleagues and beloved of many of her students. Other interests she had included scrapbooking, reading, and spending time with her family – especially her grandchildren. She didn’t miss a birthday, a Christmas, a graduation or any other important occasion and was always trying to figure out the best gifts to give her loved ones. She also was an avid Utah Jazz fan and could be found religiously viewing their games and freely sharing her opinions at the quality of play and the calls of the referees. Raelene married Gary Francis Reinard on March 17, 1966 in the Salt Lake City LDS Temple and was blessed with 2 daughters, Janet Louise (Norman) and Jodi Lyn (Whipple). She is survived by her devoted, loving husband, Gary; her daughters, Janet and Jodi; sisters Vickie Cravens (Kent), Joy Pratt, Lori Pratt (Michelle) and brother Quinn Pratt; numerous nieces and nephews; 7 grandchildren, and 1 precious great grandchild. She was welcomed home by her parents, grandparents, two step sisters, and many aunts, uncles, cousins, and friends. Viewing and funeral service will be held Saturday morning, April 6th at the Mountain View LDS Chapel from 9 am to 11 am. A Funeral service in Raelene’s honor will be Saturday April 6, 2019 at the Mountain View LDS Chapel at 11 am. The family would like to thank the innumerable friends, family, health care professionals, church members and staff at the LDS Hospital ICU who have rendered such kind, compassionate service over the years. It never went unnoticed or unappreciated by Raelene and Gary, and the family.